2017 was a fantastic year for us here at Wave. 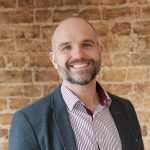 The last 12 months have seen products and websites being relaunched, new website creations, and employee progressions. Despite all the uncertainty around Brexit which caused the market to be a little unsettled, we still saw a low period of unemployment which has put candidate attraction back to the top of most companies priorities. As a business, we responded by streamlining the business, building a greater structure internally, and hiring some more great talent into the business. In 2017, we worked on many projects that we are proud of. From web builds to multi-medium attraction campaigns, these are just some of the projects we worked on. 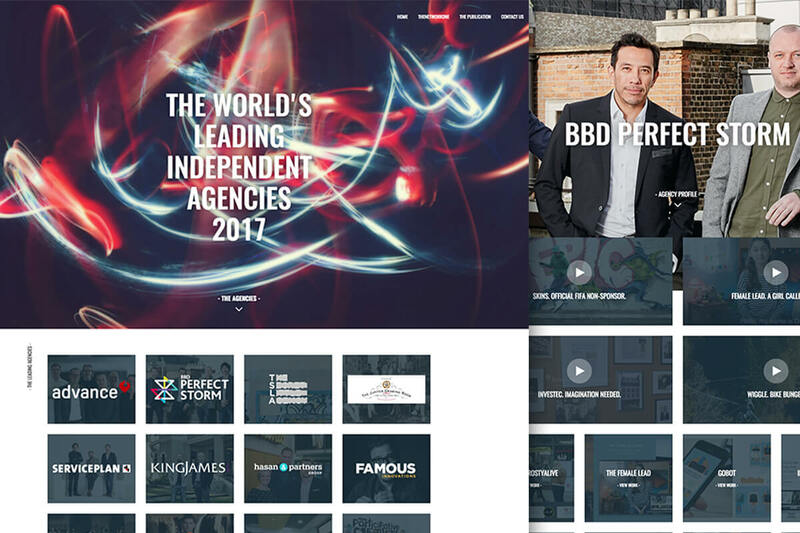 The Network One publishes an annual issue titled ‘The Worlds Leading Independent Agencies’ in an association with Campaign Magazine. This publication highlights independent agencies all across the world and the best work they have produced. Our aim was to create a slick refreshed website that demonstrated the best independent agencies and what they had to offer. G4S has been our client for a few years now and we started another project with them in 2017. The main objective of the G4S campaign was to recruit a select amount of security officers nationally throughout the duration of the marketing campaign. In order for this to be a success, we had to determine and identify our target audience. Namely, mainly middle-aged men between the ages of 30-50, without discriminating or deterring away the potential female employee. Our first approach was to target the older male demographic through Radio Station TalkSport, as their audience correlated with the target audience identified. In conjunction with this, we needed something that would encapsulate what it means to be a security officer from both a male and female perspective; while also catering for those with experience and those without. We did this through an interactive online video, which we shot in just a day using actors on the G4S site. Also, we followed the launch of the dedicated landing page with a re-marketing campaign. Driving users from social media and placing adverts all over the internet. We not only smashed our target, but we helped to provide a unique insight into the life of a security officer. All the while being nominated for a few digital awards along the way. BTC is a new client that we started working with, in 2017. Having worked with colleges previously, we wanted to bring our bank of knowledge to Bridgwater and assist them with their objective of increasing the number of applicants for the 2017/18 academic year. Our approach was to reach out to applicants through multiple channels which we felt would attract them – Spotify, Facebook, Bus shelter ads, to name just a few. We used targeted ad campaigns through PPC and SEO keywords, as well as ad retargeting – ensuring that applicants who were applying to a college in the Bridgwater region were aware of their offering. We drove the traffic to a campaign landing page that focused on the main areas BTC wanted to increase applications to, while also getting potential students to sign up for the college’s open days. We were able to achieve our target, with many residents complimenting the billboards displayed across the town. Additionally, we saw our recruitment website building service, DressCode go from strength to strength with a record number of web builds during 2017. 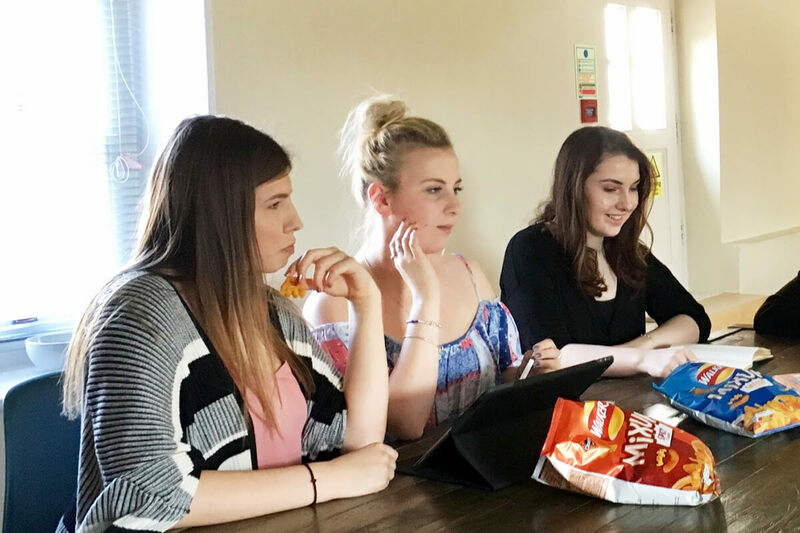 Last year we saw the move of our apprentices becoming full-time permanent Wavers. With the apprenticeship, each of them gained qualifications and certificates. With the great work they’ve done during their apprenticeship year, it was only fitting to get new job titles. Goda has continued her journey in sales and grown into her new role as Business Development Executive. She may be the youngest here at Wave, but she strives to get the best media deals and other recruitment marketing strategies. Her main aim is to gain a fresh new pool of clients every month. Polly has taken on a new role as a Client Support Specialist to take the lead on WaveTrackR activities and support. Polly now supports and manages team tasks on new developments and upgrades to the system, as well as supporting clients using WaveTrackR. Amy has progressed into our Marketing and Analytics Coordinator role, helping with social media and marketing activities for Wave. Amy works alongside our Web Analyst and Design/Marketing Manager to support with JobsTrackR marketing and reports. 2017 saw the official launch of WaveTrackR – a job distribution tool which analyses your media contracts and advises where you’re most likely to hire from. It’s been many years in the making, but we were delighted to see so many agencies adopt the technology. Having pondered for many years how to make recruitment advertising more successful and accurate, it’s great to finally have a tool that will help companies reach the talent they need without all the wastage that advertising invariably creates. It’s been a constant evolution as market demand has seen us add more and more benefits, and a huge learning curve for us, but I’m delighted with the product and looking forward to seeing how it develops over the next few years. This was a big event for Wave as a company and the Wavers that attended. The Recruitment Agency Expo was focused on the current recruitment services and software that could assist recruiters in their job role today. Many recruiters attended so it was the perfect event to talk about and showcase our new and improved services. WaveTrackR was the main product that we wanted to expose to recruitment companies and recruiters. Getting feedback about WaveTrackR from recruiters was crucial to us. It allowed us to see how people reacted to our new job distribution tool. Thankfully, this event went smoothly and we had many people visiting our stand asking us questions and playing our interactive touch game. Given its success, we will be attending the Recruitment Agency Expo in 2018, both at the London Olympia and the Birmingham NEC. 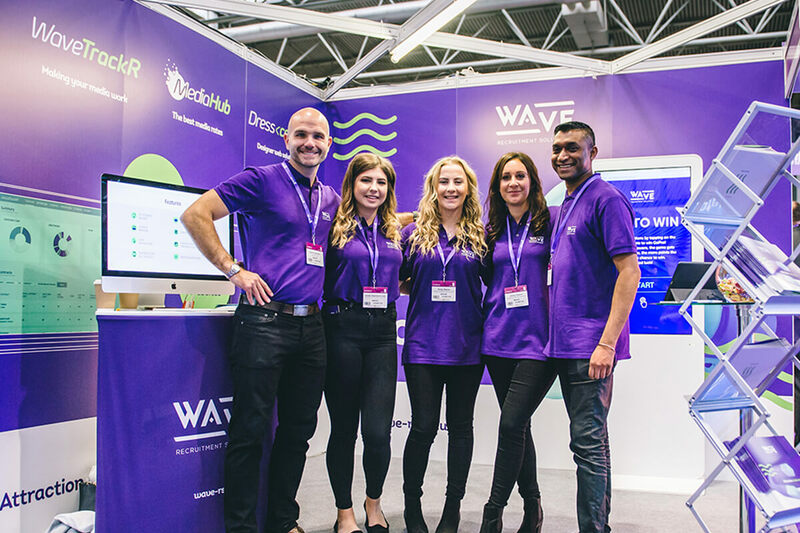 The first event takes place over two days and Wave will be there talking to recruiters for both days – Wednesday the 31st January and Thursday the 1st of February. 2018 is going to be our most exciting year ever, with a new and improved WaveTrackR that now includes a CV Search functionality as well as more media recommendations than ever. We’re improving DressCode to include more features and more customisable options. JobsTrackR will see some investment this year with the development of user preferences. The site will only show the jobs and companies that fit your profile and behaviour, meaning we’ll see an immediate increase in applications. Our vision remains clear and consistent. Consequently, we want to change the recruitment industry and make the guesswork of candidate attraction a thing of the past. Watch this space.